• Location: River Mile 634.7. • River Elevation: 611 Feet. • Railroad: Wisconsin & Southern Railroad. • Daily Traffic Count: Less Than 1 Train Per Day. 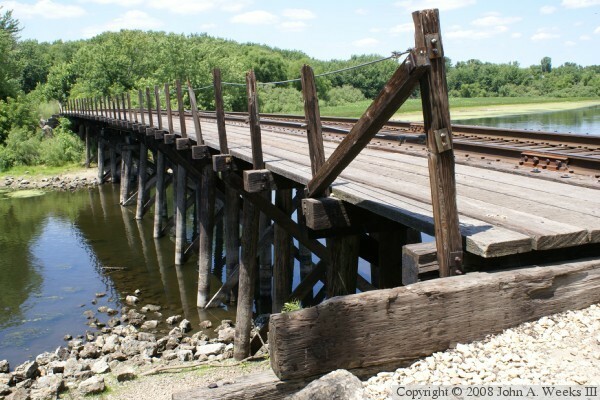 • Bridge Type: Wood Trestle. • Length: 195 Feet, 35 Foot Longest Span. • Date Built: Completed 1927, Rebuilt In 1962. 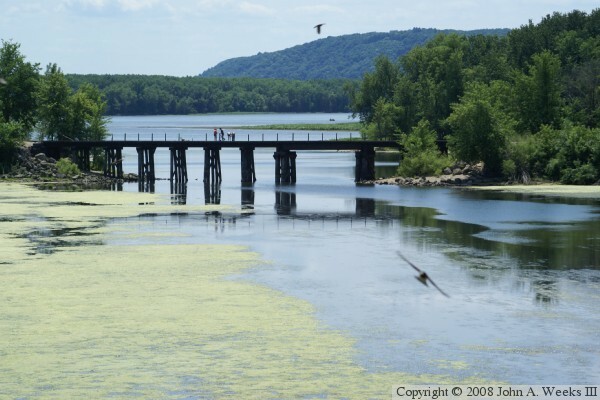 Prairie du Chien was originally built on Saint Feriole Island, which is separated from the mainland by a small backwater channel. This is where the industry that supported the city in the 1800s was located, so rail access was installed in 1890. After repeated floods and fires, the city was relocated to the mainland on the Wisconsin side, which was higher and far less prone to flood. Industry remained on the island, gradually closing down or moving to the mainland until well past World War II. The 1890 bridge was replaced in 1898. That bridge was about twice as long as the 1927 structure. In 1962, the trestle was modified to create a 31 foot wide clear channel for recreational boaters. Today, Saint Feriole Island is mostly park land. The rail spur remains, but it is infrequently used. 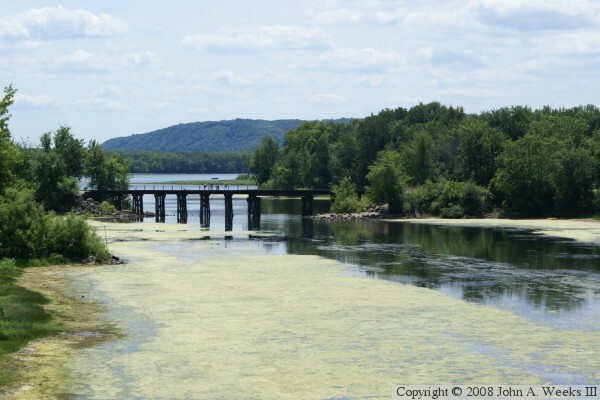 The rail bridges over the Mississippi, including the famous pontoon bridge, are long gone. 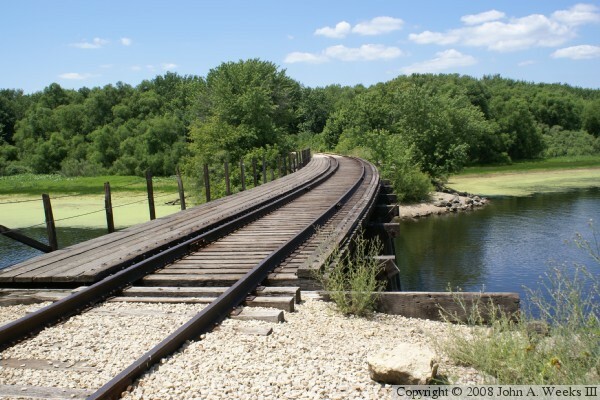 The next nearest rail crossings are La Crosse and Dubuque.